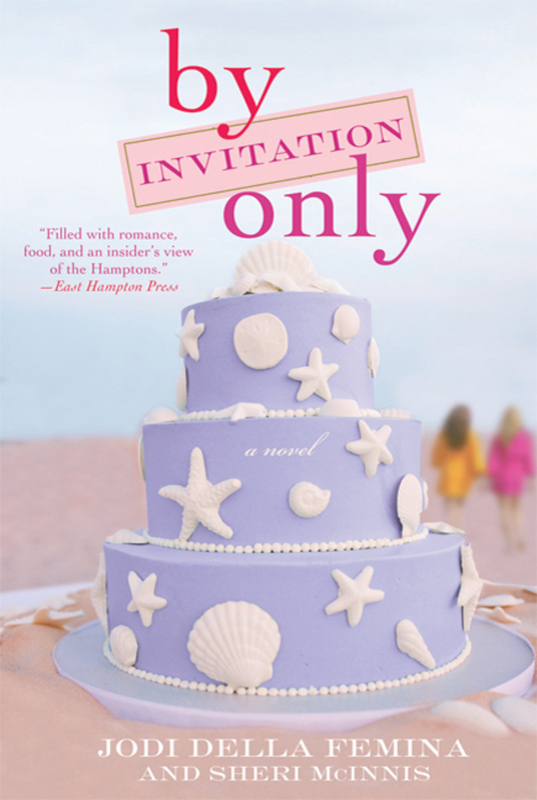 I'm excited for author MJ LaBeff! Her third thriller, LAST FALL’S HUNTED, was just released by Muse It Up Publishing. I’ve already had a peek at it and the opening is absolutely riveting - and so creepy! A great follow-up to book one, LAST SUMMER’S EVIL. MJ is a self-proclaimed ‘girl next door with a dark side’ and her writing bears that out. 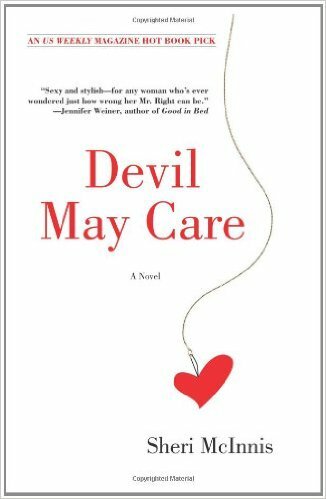 She has a unique way of combining supernatural ideas, convincing crimes, great descriptions and contemporary characters, into plots that just keep twisting and turning. 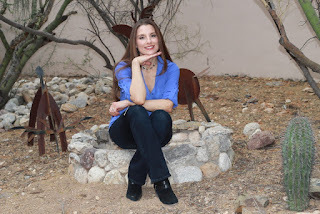 I’ve been so curious about her writing methods, I had lots of questions for her, including how she plots her stories, her best promo tips, and when she knew she’d found the voice of The Last Cold Case Series. 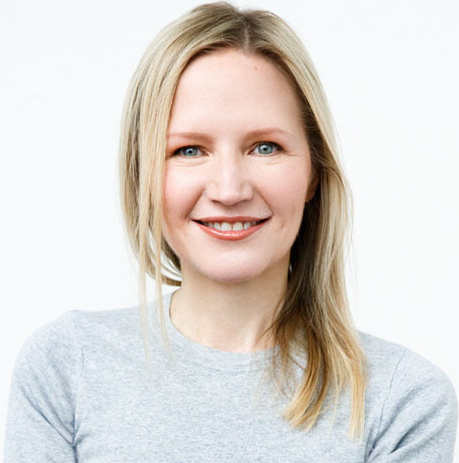 Plus I also loved learning how the concept of ‘enneagrams’ help her create characters and how she avoids the dreaded 'sagging middle' in her books. Tell us a bit about the first novel you ever wrote. How old were you and what was it about? I attempted to write a mystery novel when I was 30. My computer crashed. The hard drive was destroyed. I gave up. I didn’t know anything about the craft of writing so I didn’t have the tools to develop a plot outline or techniques for creating characters. All I had was the desire to write which grew out of my love for books and reading. When I look back at that first writing experience I have to laugh. I wasn’t even smart enough to back up my hard drive! Now, I keep copious notes, multiple thumb drives, sometimes even email the manuscript to myself, and of course I take time to develop a plot and characters. Aside from electronic record keeping, I actually prefer to write the plot and characters on paper and by the time I finish a novel, the file is an array of various sticky notes and note paper in different sizes, since I keep pens and paper in every room of my house and at my office. Several years later, I decided to write again. KISS ME GOOD-BYE is a romance novel with a bit of mystery. When her ex-fiancé returns, a journalist confronts him revealing the consequences of his infidelity, as she struggles with how to tell her new love about his rival’s return. My intention was to craft a story like a Lifetime movie. The desire to write again had hit me hard. Life really is about timing. 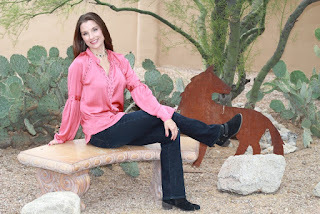 At the time, I had the fortune of meeting NYT Bestselling romance author, Vicki Lewis Thompson. She was very kind and gracious when I expressed my interest in writing. Something I’d said must have been right because she gave me her email and offered to help me set up my manuscript (I’m careful not to use the word format here) she was willing to give me tips on how to set my margins, indents, and line spacing for the manuscript. She also encouraged me to join Romance Writers of America and to attend the Desert Dreams Conference in 2008. Ahhh, New Year’s resolutions, I had committed to a lofty one. On January 1st, 2007 I started writing again. Vicki had told me she finished her first novel in nine months so I set that as my goal too. At some point, she had offered to read a few chapters or so. I honestly don’t remember if she read the full. What I do recall is her email that said, “You write beautifully.” Wow! I had hope. I knew I had a long way to go, a lot to learn, but her kind words fueled me to work harder and write better. KISS ME GOOD-BYE will never see the light of publishing day. I don’t fancy myself a romance novelist. No matter how much effort I put into writing that book, I call it the manuscript I cut my teeth on. 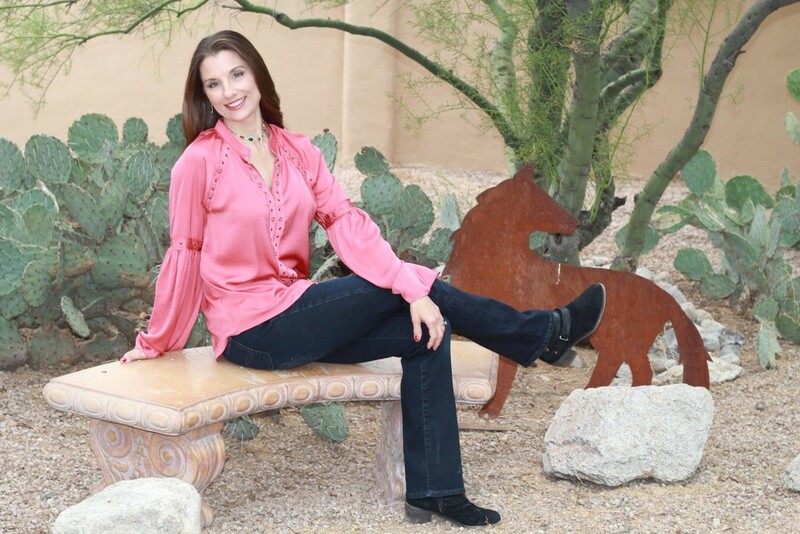 I did attempt another romance, titled SETTLING THE SCORE, by now Vicki had become a mentor to me, and we both thought I might find success at Harlequin. Apparently, the editors at a couple different lines don’t fancy me a romance author either! No problem, I was also writing a paranormal thriller, HAUNTING LYRIC. Once you’re bitten by the writing bug the infection is fatal. 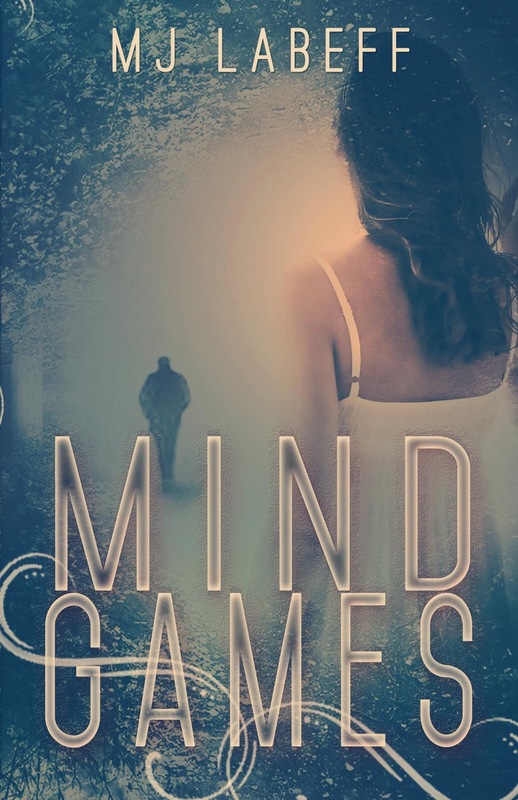 Your thriller novels, MIND GAMES and LAST SUMMER’S EVIL, are always fast paced and engaging. I’m sure LAST FALL’S HUNTED will have the same great flow. How do you plot your books to keep them moving? Books need big middles. We’ve all heard of the “sagging middle” so as long as I’ve got a decent middle (something big is revealed, or a big plot twist) I’m ready to write. Being a thriller writer, my goal is to have justice served at the end, but I’ll share a secret - in one of the books in my Last Cold Case Series some of the “bad guys” get away. Kinda. Let’s face it, that’s real life. I keep track of details on notebook paper and keep it in the book’s file. The story is always with me and somehow I always know where it’s going. Significant reveals that play an important role later, I jot down as I go. I’m a fan of dropping bits of information and hope it keeps a reader reading and wondering why? Where’s this going? I think it works because as I’ve gone through the editing process on LAST SUMMER'S EVIL and LAST FALL'S HUNTED, my publisher will write comments asking me questions as to relevance to the story and then she’ll write “ignore my comment” as I read further. That always makes me smile. It’s like leaving a breadcrumb trail. I keep track of the crumbs in the notebook. Besides a terrifying plot, the story moves forward because of the characters. I spend a lot of time developing character enneagrams and establishing a character’s goals, motivations and internal/external conflicts. It’s important to really know your character's back story. I have to give a big shout to author, Laurie Schnebly Campbell. 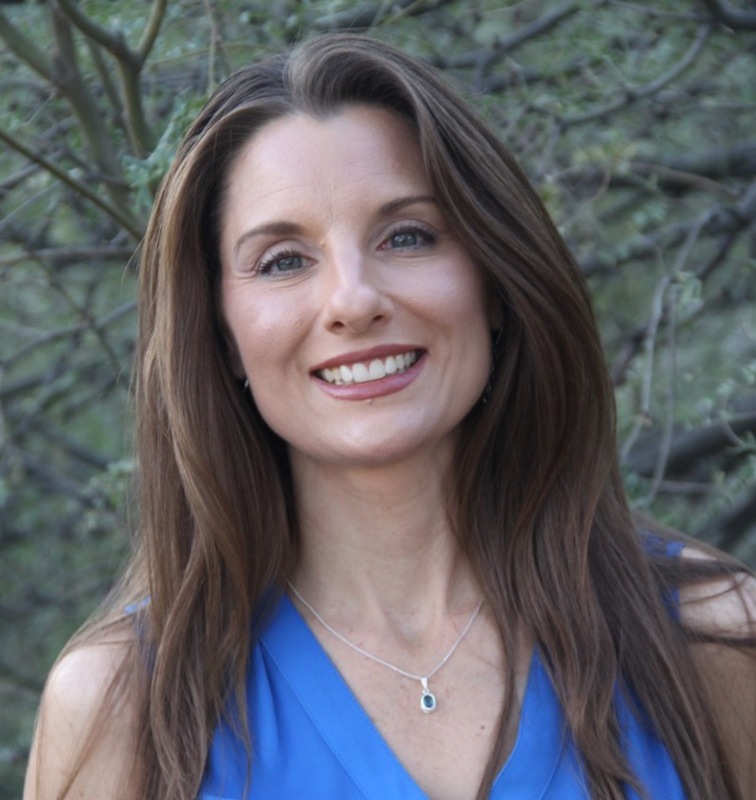 I’ve taken several of her workshops and one of my faves is: Creating Your Hero’s Fatal Flaw. I do this for all of my characters using Laurie’s “The Enneagram Personality Types” wheel. There’s a lot of writing before writing the book! Do you remember when you first came up with the idea for The Last Cold Case Series? I started writing LAST SUMMER'S EVIL in 2013. Honestly, I can’t remember the exact catalyst for the book. It seems like I had a rush of ideas converging at once. The change of seasons and moon phases had piqued my interest. I thought about how different seasons and full moons can change a person’s mood. I researched the summer solstice and celebrations associated with it. 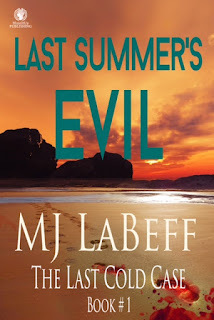 The Summer Time Slayer was born before homicide detective, Rachel Hood and FBI agent, Nick Draven. I remember coming up with the idea for a serial killer who strikes every summer, killing one woman and abducting another, and then reliving the crimes by sewing a rag doll made from the previous victim’s clothes that is left with the next victim. The victim being someone watched, stalked, chosen by the killer. 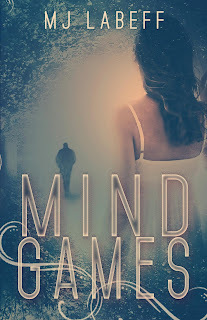 I had written character enneagrams for my male and female law enforcement hero and heroine but changed things a couple of times before settling on a homicide detective and FBI Agent. This book was the most challenging of the series and it definitely prepared me for writing the next three. My publisher even recognized it. By the time we edited LAST FALL'S HUNTED book 2, she had commented on how “clean” the manuscript was. I can feel the pulse of that book and the others. LAST FALL'S HUNTED was born because I took a personal family illness and turned it upside down. My aunt Mary Ann had kidney disease. She died when I was only 13. I remember her being on dialysis and very sick. She passed away in her forties. I started asking my mom and her sister questions about her illness. Had everyone in our family been tested, did she ever have a transplant (she did, I think twice and it wasn’t a good match either time). I’ve got a crazy imagination so I started to think what if... a mom determined to find a kidney for her daughter gave birth over and over hoping to find the perfect match. Ha-ha! Here’s plot and backstory. No more spoilers. LAST WINTER'S TAKEN, book 3 probably came about because of that line of thinking in book 2. What lengths will one woman go to, if she couldn’t have children? What kinds of things would she resort to? LAST SPRING'S STRANGER, book 4 came about because I love strange myths and mysteries about towns. I also wanted to tie in a surprise from the homicide detective’s past and the catalyst for her psychic empathy. While I was writing the novel, I had targeted a particular character as the killer and about halfway or so I discovered it was someone else and a delicious twist was born. I’m still excited about it! Do you have ‘favorite’ characters and why? Often I fall in love with secondary characters. I think it’s because I spend less time with them. Plus they’re the people that add the twists and turns to my thrillers. I love pointing fingers at different characters. It’s fun to take a seemingly normal and ordinary person and then surprise a reader with something shady about him/her. When did you know you’d ‘found’ the voice of this series? When I started writing the second book, LAST FALL'S HUNTED. I adore book one, it was a lofty thriller to write, a lot of dead bodies and missing women to keep track of and a suspicious cast of characters. It really gave me confidence when I started book 2. By then, I felt like I could hear Rachel’s voice and her cadence and Nick’s too. It took me years to find my writer’s voice. If I were to tell you a story or even read a page from my book, I can almost guarantee I’m going to be animated and a bit humorous. I just don’t write comedy or light. Something happens at the keyboard. I write dark and twisted tales. People who know me, have met me, or even are my friends on social media alone often comment what a contrast I am compared to what I write. 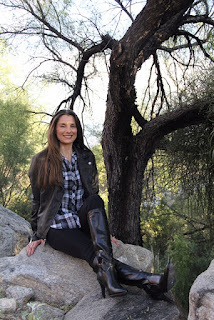 I love it when readers tell me, “You scare me.” I think that’s my job as a thriller writer. I hope my stories keep people guessing and on the edge of their seats. 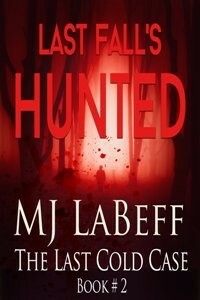 How does the sequel, LAST FALL’S HUNTED relate to the original book, LAST SUMMER’S EVIL? Each book in the series has homicide detective, Rachel Hood and FBI agent, Nick Draven working a new case. The new case always ties back into an old cold case. So they’re always solving multiple crimes dealing with the new case and finding clues that lead to a prior cold case. Many of the same characters are in all of the books as far as Hood’s and Draven’s families, law enforcement professionals, maybe a secondary character or two, but each book can be read alone. The only change readers will notice in each book is the developing romance between Rachel and Nick, and although I worked really hard not to create any spoilers there’s going to be some information that relates back to the previous story(s). Just like the days of our lives, these characters lives continue to go on so those storylines move forward in each book. How did you choose your publisher, Muse It Up Publishing? I researched the authors at the house and then read some of their books. I was impressed. It felt like a family from what I was seeing on social media too. I’m delighted they welcomed me. I’d been searching for an agent for years. By the time I was halfway through writing book 4 of the Last Cold Case Series, I was out of patience. I thought I’d have better luck looking at publishers who didn’t require agented material. I did. What are you three top promotional tips? Choose at least one social media platform you like engaging with. I love Twitter. I like the brevity of 140 characters and although it’s increased, I try to keep it simple. I think Twitter forces a person to create a good message and call to action. That’s important. I remember working in advertising and creating 5 – 7 word calls to action. What’s your best advice to young writers? Same advice NYT Bestselling author Vicki Lewis Thomas gave me, “Just write.” I’ll add, “You can always edit later.” Also, save yourself some time by joining a good writing group, I highly recommend Romance Writers of America (even if you’re not writing romance, this group is amazing) and Sisters In Crime. I’ll also suggest finding a kind but honest critique partner. Anyone who follows you knows you’re a great dog lover. 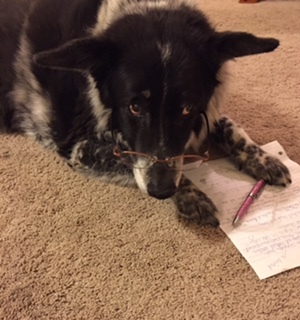 You’re working on another novel as well – about a dog! Can you tell us a bit about it and how you came up with the idea? This story was born out of tragedy. My dog of twelve years, Buddy became very ill and I had to have the vet come to our home to euthanize him. The morning of the dreadful day, I woke up knowing only a few hours of my time with him remained. This story hit me out of nowhere. I fired up my laptop and started to write. I can still see Buddy’s sad eyes gazing over at me. I shut down the computer, thinking you’re not writing while your dog is still here with you. Later that day, my dog Sammy and I went for a walk and flashes of chapter headings for the book filled my mind’s eye. It really was a surreal experience. I’d never had it before. The book is titled BUDDY: THIS DOG'S LIFE. It’s completed and with my second beta reader. I think anyone who has ever loved a pet will enjoy the story of his hardscrabble life to forever home. I’ll share how the book opens here. There is no greater joy than opening your heart and home to a dog. A dog’s unconditional love and support never waivers in spite of your humanness. Your dog will be the first to greet you at the door and last to kiss you goodnight. This book is dedicated in memory of my beloved dog, Buddy. The best writing and editing partner I’ve ever had and the greatest source of inspiration I’ll ever know. I have lots more great interviews coming up with other writers. Plus some pretty exciting news I'd like to share, too! Follow the blog and I'll keep you posted!